From 30 years ago: The day Wayne Gretzky went to L.A. It was the biggest news of the day: Wayne Gretzky was leaving Canada, after being traded to the Los Angeles Kings. Thirty years ago today, the rumour became real: Wayne Gretzky was leaving Canada. "The biggest name in Canadian sports — the man hockey fans call The Great One — is going to the United States," Knowlton Nash explained to viewers of The National, as the show got underway on the night of August 9, 1988. "Wayne Gretzky has been traded from the Edmonton Oilers to the Los Angeles Kings." He was the youngest player on his team when he joined the Oilers. He led them to four Stanley Cups during his nine seasons with the franchise. And he was being traded. "We are not replacing Wayne Gretzky in this trade. You cannot replace Wayne Gretzky," said Peter Pocklington, then the owner of the Oilers. The Oilers were also sending Marty McSorley and Mike Krushelnyski to the Kings, while Los Angeles was sending back $15 million and three alternating years of first-round draft picks, as well as centre Jimmy Carson (who had a 100-point season when he got to Edmonton) and forward Martin Gelinas (who would go on to win a Stanley Cup with Edmonton). The Trade, as it came to be known with a capital T, occurred in the final year of Gretzky's contract with Edmonton. The fans in Edmonton were, unsurprisingly, upset about the loss of No. 99. Mayor Laurence Decore said Gretzky had helped put the city in the spotlight in a way that could not be replaced. The news of Gretzky's pending departure came just a few weeks after he married the former Janet Jones, an American actress who appeared in a Police Academy sequel that same year. In Gretzky's hometown of Brantford, Ont., at least one fan cited No. 99's marriage as a reason for his departure to the south, as shown in the clip above. His new family status was, in fact, a factor in the move, as Gretzky told reporters at the news conference when the trade was announced. "For the benefit of Wayne Gretzky, my new wife and our expected child in the new year ... it would be beneficial for everyone involved to let me play with the Los Angeles Kings," said Gretzky. His father, Walter, said there would be times when his son would miss life in Canada, but that didn't mean he shouldn't head south. "If Wayne is going to be happy there and he enjoys it, then certainly I won't regret it," Walter Gretzky said, when speaking with CBC from his home. Wayne Gretzky has since said that his dad actually favoured seeing him play for the Kings, while the Great One's wife had hoped he would play for Detroit. After leaving for the bright lights of Los Angeles, Gretzky would end up playing for two more American teams by the time his career was done — the St. Louis Blues (briefly) and the New York Rangers. But he would not win another Stanley Cup. 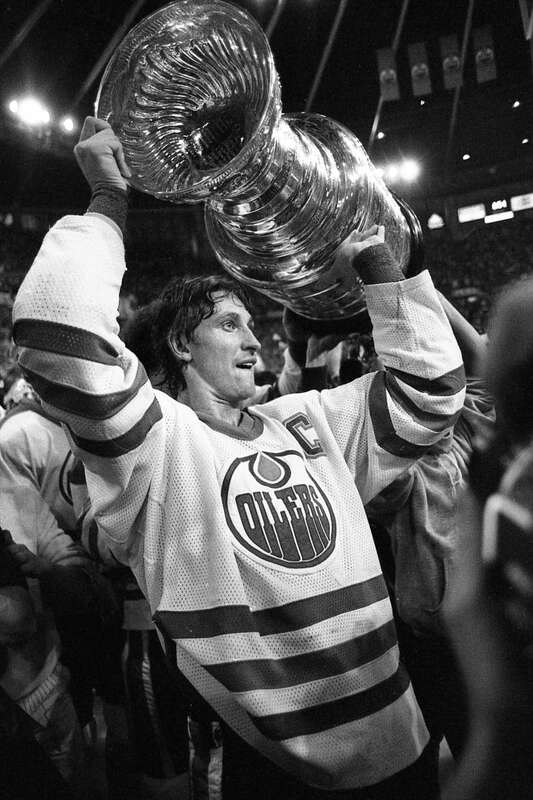 His former team, the Oilers, would go on to win another Stanley Cup without him in 1990.